Ever since Jeremy Corbyn was elected Labour leader, a narrative has endured regardless of how well the party’s done at the ballot box or how many new membership cards are issued: he’s capturing the party and his supporters are slowly taking over branches and CLPs. This makes it sound like a hostile and importantly undemocratic takeover. And pundits say, almost on autopilot, that it spells the end of the Labour party. When Labour’s general secretary Iain McNicol announced he would be standing down, one standard response was riven with this thinking; it was a sign the party “takeover” by Jeremy Corbyn was “almost total”. And when Labour members in East London chose Rokhsana Fiaz as their mayoral candidate over incumbent Robin Wales, one journalist described it as a “coup”. Flip the narrative on its head, and you might find another story altogether. To understand exactly what I mean, take a closer look where I live, Newham – the site of an ongoing struggle for change. In May, this part of East London will choose who will be its next mayor. Though no position is guaranteed, Labour stand a good chance of winning because this borough, one of the country’s most diverse, is solidly red. Last time around, all sixty of its councillors and its mayor were Labour. But choosing a mayoral candidate isn’t a straightforward affair. Instead of a process where anyone can run to be Labour’s contender, the party’s internal rule book dictates that there has to be a ballot deciding who can run: wards and affiliates vote on whether there should be an open selection or if the incumbent is automatically the candidate. At the end of 2016 Newham went through this process and, by a slim margin, an open selection was voted down – making Robin Wales, the current mayor who has effectively been in charge for over twenty years, the candidate once again. All didn’t run smoothly. A group of Labour members got together to question the way the process was run; they claimed procedural rules were “breached” because they were applied differently to different affiliated organisations. Some trade unions with several branches had voted more than once while others with more than one branch believed they only had one vote, which potentially tipped the vote in Wales’ favour. Opposed by Wales and brushed to one side by officials, up to 30 local party members fought to make their voices heard. After a sustained grassroots campaign and threatening to take the party to court, they were finally successful; the party decided to run another trigger ballot. This wasn’t a Labour party taken over undemocratically by the left, but local members launching sustained resistance for months to get basic democracy. The rerun decided it: members wanted Wales to be challenged. And the outcome of the trigger ballot saw Rokhsana Fiaz – who promised, among other things, to have a referendum on the mayoral position itself – win with 63 per cent of the vote. It shouldn’t have taken so long to get to this point. Labour has long been, to some extent, a top-down machine. This only got worse in the Blair years, when power-hoarding and leader-led politics were the norm. Newham is a prime example of that; as the Focus E15 grassroots group has shown, Wales has operated a top-down hierarchical operation for years, which appeared to show little regard for some of the borough’s poorest residents. This should bust the myth that deselection is always some shadowy, unfair process. 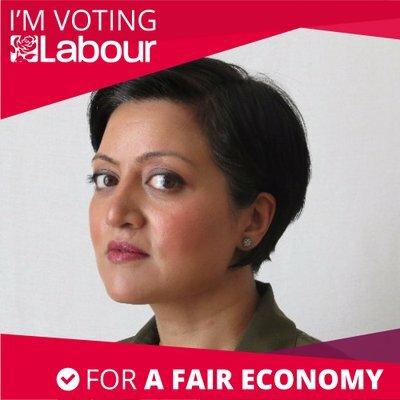 Fiaz has not become Labour candidate through an undemocratic takeover – quite the opposite. In much the same way, it takes a catastrophic misreading of the past few years to see increased democratic engagement with Labour while it moves to the left as Corbyn surreptitiously taking over the party. Change that involves contestation doesn’t necessarily mean a lack of democracy. Labour is the biggest left-wing party in Europe. Its members and supporters are not just there to deliver the party’s message on the doorstep or turnout to vote every five years; they are people who can shape those messages and the party itself. After decades of managerial politics being parroted as the only pragmatic way to win elections, the last election showed creating more space for bottom-up politics is both a matter of justice and expediency. What’s happened in Newham is a sign that focussing on the changes in Labour as a Corbyn power grab is not only incorrect, it ignores an interesting, productive struggle over change that’s taking place at the party’s grassroots.